Exco Levi, was born Wayne Ford Levy on June 7, 1981 in Manchester and grew up in Clarendon, Jamaica. Singing is in Wayne’s blood as his father was also an artist and sound system DJ. Some of his inspirations are the late Garnet Silk, Bob Marley and Peter Tosh as well as contemporaries like Sizzla Kalonji. 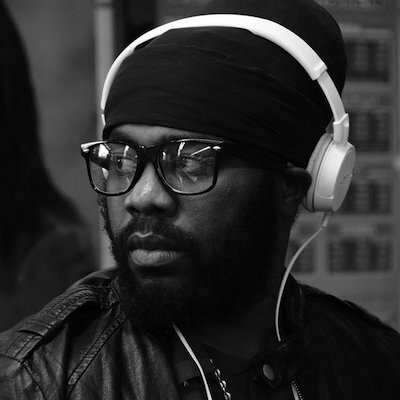 Through studying the work of these artists, he has been able to develop his own unique sound which emanates deep respect for the musical icons. His songs have given voice to a nation and helped forge an entirely new style of music and rhythm that is revolutionary, fiery, scathing, loving and stinging. Exco Levi has an ability to quickly engage his audience during his live performances which makes him very appealing. As a result, he is in high demand for colourful collaborations. Some of these include Jah Mason, Busy Signal, Romain Virgo, Marcia Griffiths, Brown Shuga, Silver Cat and Richie Stephens to name a few. He currently works with Penthouse Records and Sillywalks Music. Two amazing successes to date include the blazing hot singles ‘Mr. Hammer” on NCF and the self-love anthem “Bleaching shop” on the Penthouse label, which has been topping charts globally. Both songs have been receiving major airplay by local and overseas DJs. He is currently in production for his debut album project with Penthouse Records. 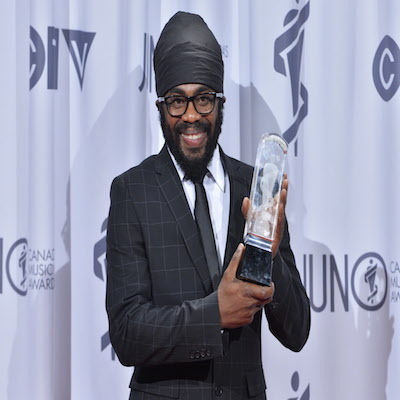 Posing with the Juno after winning for Reggae Recording of the Year during the 2013 Juno Gala, Dinner and Awards in Regina on Saturday, April 20, 2013. Exco Levi is a determined artist with the technical skills and performance style that is bound to give him more and more recognition. He is on his way to becoming a household name, one synonymous with quality and musical excellence. Could be a Reggae legend in the making. Recipient of the Most Promising New Artist Award, at the Canadian Reggae Music Awards (2007).